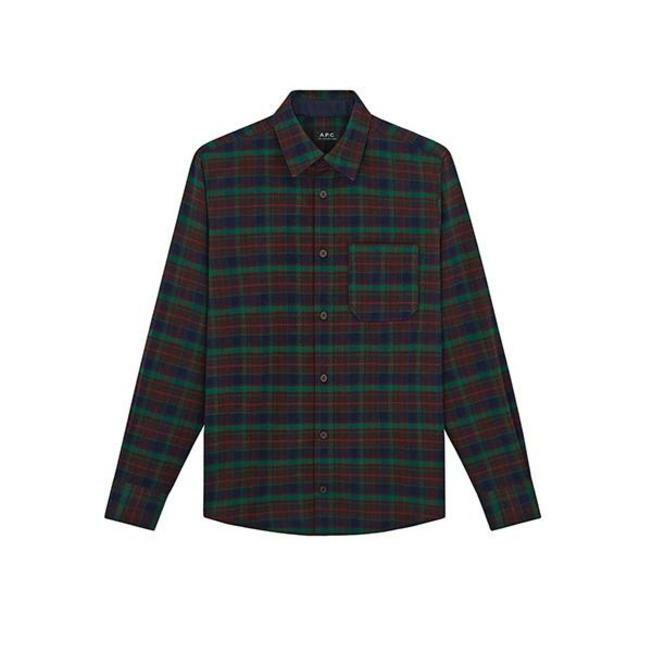 Plaid Italian flannel. Warm, soft material. Straight cut. Button closure. Seven buttons. Back yoke. Long sleeves. Breast pocket. Pleat and buttoned slit at wrist. Buttoned cuff.